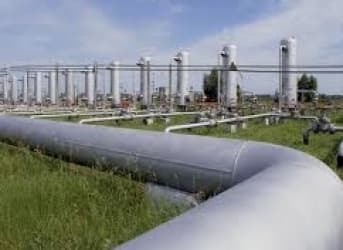 The Canadian Chamber of Commerce (CCC), the country's largest business organization, added its voice this week to the growing national consensus over the need to build new oil and gas pipelines to connect Canadian energy infrastructure to world markets. On Tuesday it released a report to this effect, on the back of a Deloitte Touche analysis released last week by TransCanada Corp. The CCC has also launched a public campaign to back both TransCanada's Energy East Pipeline (from Alberta to the Atlantic Ocean) and Enbridge's Northern Gateway Pipeline (to the Pacific Ocean). As part of the Canadian government's own public campaign, its Minister of Natural Resources Joe Oliver gave a keynote speech on Tuesday to the Global Energy Summit in New York City, where he emphasized Canada's current and future potential contribution to global energy security and economic stability. "Canada has the resources in place to meet its own needs and the growing energy demands of global markets," he said. "We are aggressively working to enhance Canada’s position as a stable, secure and environmentally responsible energy supplier to North America and the world." Canada is the world's second largest producer of uranium and fifth largest producer both of hydroelectric power and of natural gas, and it has the world's third largest known oil reserves and ninth largest installed wind power capacity. Oliver's purpose, however, was less to advertise his country's well-known resource prominence, than to increase pressure on the U.S.
Administration for a five-years-delayed decision on the controversial Keystone XL Pipeline, another TransCanada Corp project, that would transport 830,000 barrels per day (bpd) to Gulf Coast refineries, mainly from refineries Alberta's oilsands and North Dakota's Bakken formation, at an estimated construction cost of $5.3 billion. The Government of Canada has refused to confirm or deny the existence of a letter, purportedly written by Prime Minister Harper to President Obama, offering joint cooperation on the reduction of greenhouse gas emissions. Canadian circles view such a letter as offering the U.S.
Administration a fig-leaf to satisfy the environmental lobbies on which it depends for a progressive image and political support. What Oliver told Reuters on Wednesday about liquefied natural gas (LNG) applies just as well to Canada's oilsands resources: "We have to get on with it," Oliver said. "This is a market that will not be there forever. We have to move as quickly as we can to create the infrastructure to move the resources." Even as aboriginal communities in British Columbia have tended to support LNG construction projects and new pipelines, foreign investors have still expressed doubt over whether regulatory roadblocks will permit the their completion in a timely manner.